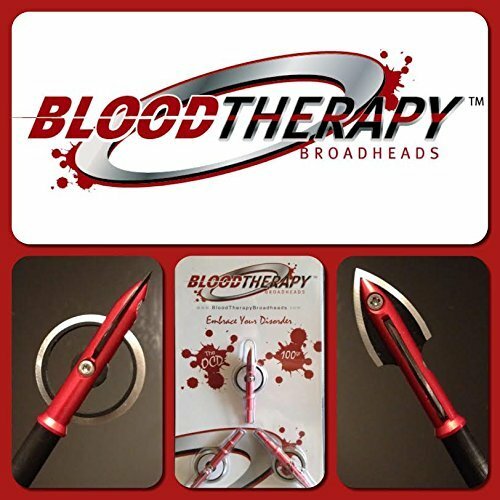 My son and I are going to put this broadhead to the test this year. I will be shooting it out of my crossbow, and Steven will be shooting it out of his PSE bow. Once Im used to the crossbow and have it dialed in at 30-40-50-60 yards, I am going to see how it shoots with that broadhead. I have VERY little experience with broadheads, and I know people have their favorites, but hearing stories of mechanicals vs expandables and failures I decided to try these. Can you tell I'm excited about the upcoming deer season? Interesting design, I'll be curious to see what you think about them and how they fly compared to a field/practice tip. BTW, what weights do they come in? Interesting design. I think it will be loud in flight; small would channel. I'd be concerned about pass through w that large ring and fitting those heads into a quiver, sharpening the round blade would be a feat also. I've shot Muzzys for well over a decade and never had one not pass through. I also like Muzzy because they fly straight, I can practice w them and and switch to new blades for hunting, replacement blades are cheap too. I shot the 3 blades until the 4 blades came out and they both put deer down quick. It seems to me some deer don't know they've just had an arrow pass through their body w the Muzzy. I've watched most of the deer shot w them go down within 50 yrds, some barely flinched w the shot. One big doe started picking up more acorns after my arrow zipped through both lungs and a rib, another just shook, looked around for a moment and then turned to lick at the blood spilling out of her side before stumbling and falling dead. Only a few of the deer ran away after the shot but not very far. interesting. i wonder how bad they will catch wind during flight. i still LOVE my Rage 3 blades in the crossbow. Interesting but you lost me at crossbow. Like to hear what you son thinks about them. I have 2 torn rotator cuffs with injuries dating back to 2008. I cant even throw a ball. I would love to shoot a bow, but it's not in the cards. I keep on trying to build shoulder strength but its not working. I'm just giving you trouble. I know that's a hot topic and I don't want to side track the real topic here. I am curious thou how they will fly from say a 50-70# bow vs a 150# crossbow as well as performance.